*** September 28 update*** Because only 6 campsite expressed interest, we will not be proceeding with this project. We would have needed a much larger number to get Shaw's interest. 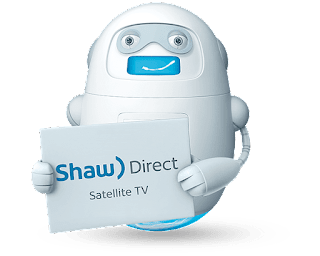 Shaw Direct is offering members of Bare Oaks Family Naturist Park who have a long-term campsite a great deal on satellite TV! But the offer will only go ahead if enough people sign up. Bare Oaks members with a long term campsite, please take the following survey to find out the details and let us know whether are interested or not. Please take this survey ONLY if you currently have a long-term campsite at Bare Oaks Family Naturist Park. We are pleased to announce Stephanie Lynn has joined us as the new operations manager. Aside from her pleasant disposition and recently acquired passion for naturism, Stephanie brings extensive experience in project management; policy development and implementation; and team collaboration. Adam has done a fabulous job bridging the gap and he will continue for a month or two during the transition. He has truly enjoyed his time in the role and we've received many compliments. But it was always clear that this was a temporary job as he has other plans for the fall.